Atlanta Mayor Keisha Lance Bottoms presents a baby basket to Malcolm and Kimberly Myers, and new baby girl River. 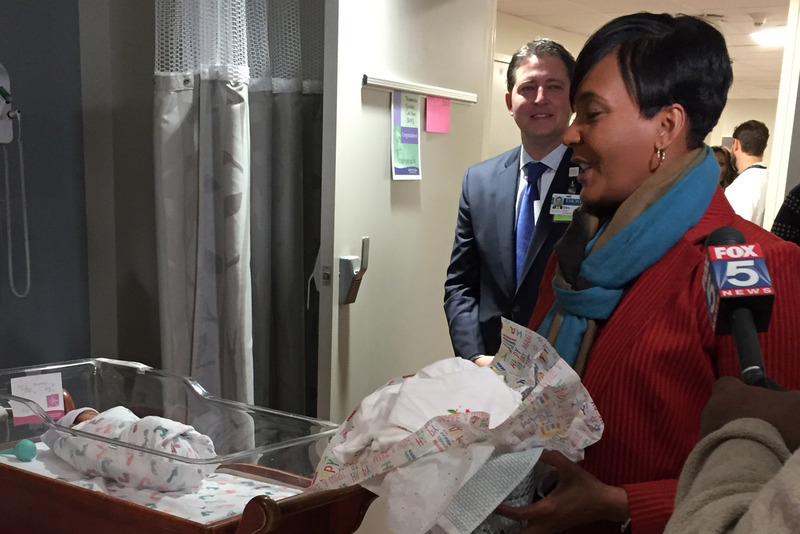 Mayor Bottoms gave gift baskets to all babies born at Emory University Hospital Midtown on her birthday, Jan. 18. Mayor Bottoms also visited new parents Sindhuja Thummala and Bala Metla, and their baby girl Chaithra. Mayor Bottoms and Chaithra share the same birthday. 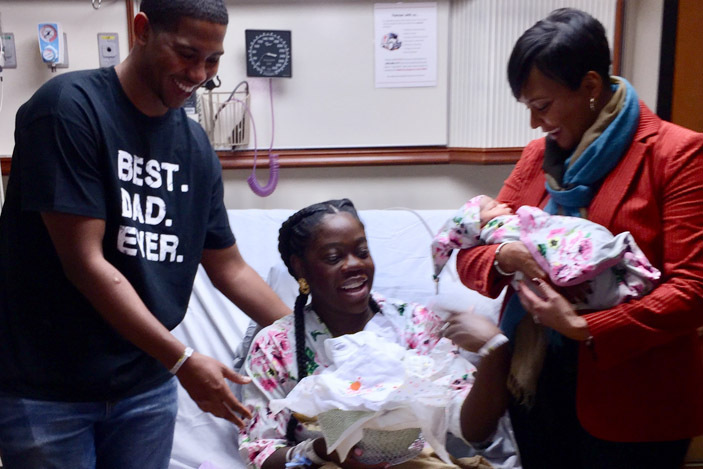 Mayor Bottoms gave each baby born at Emory University Hospital Midtown on Jan. 18 a gift. The mayor was born at the former Crawford Long Hospital on Jan. 18. 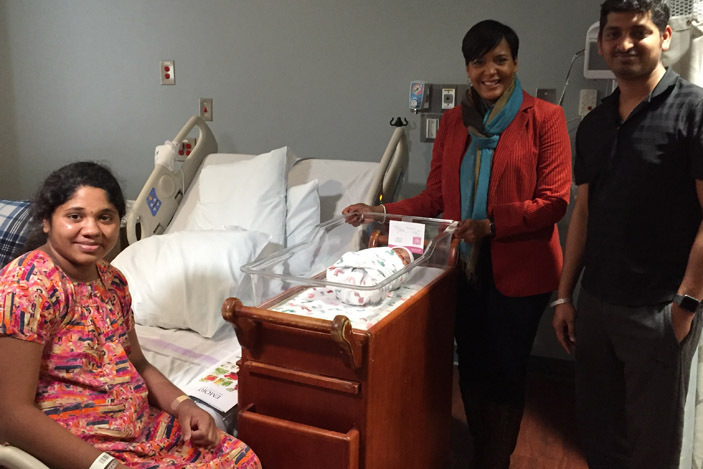 Mayor Bottoms delivers baby gifts to new babies born at Emory University Hospital Midtown who share her birthday. Hospital CEO Dan Owens looks on while Fox 5 News interviews the Mayor. Atlanta Mayor Keisha Lance Bottoms celebrated her birthday this year by giving gifts at her place of birth, the former Crawford Long Hospital, now named Emory University Hospital Midtown. 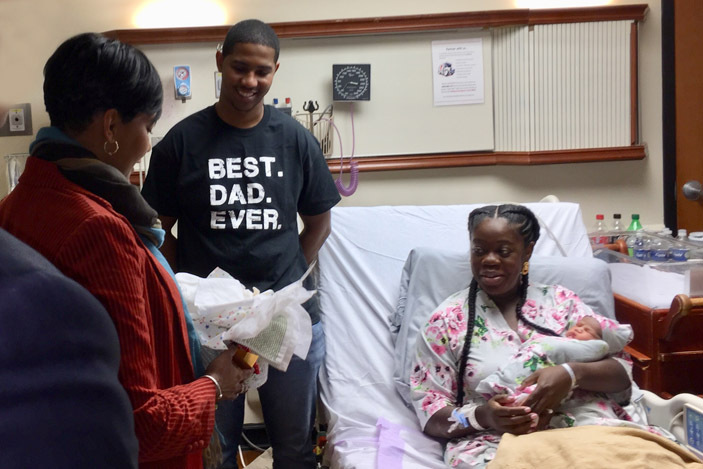 The Mayor brought gift baskets to all of the babies born at Emory University Hospital Midtown on her birthday, Friday, Jan. 18, 2019. She first delivered a gift basket to Kimberly and Malcolm Myers and new baby girl, River. Then she visited parents Sindhuja Thummala and Bala Metla, and their new baby girl, Chaithra. The families were all appreciative of the Mayor’s time and generosity on her special day. Happy Birthday to Mayor Bottoms, River, Chaithra and the other babies born on Jan. 18 at the hospital.